For more than 25 years, this bestselling handbook has allowed students to build confidence and take ownership of their college writing experience. With practical advice and plenty of student models, a tabbed section provides advice for writing college papers in nine disciplines. Each discipline section features information on audience expectations in that area of study, the types of questions asked, the types of documents produced, the kinds of evidence used, appropriate language conventions, and appropriate citation styles. This is an ideal text for Writing courses, within biology, business, criminal justice/criminology, education, engineering, history, music, nursing and psychology departments. 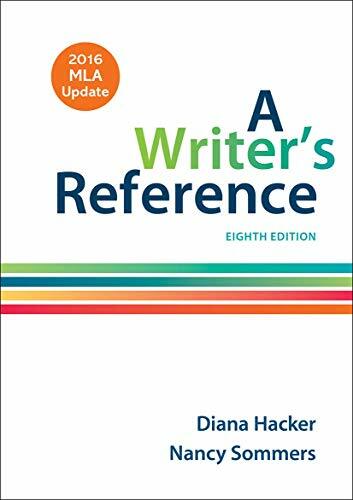 A Writer’s Reference is available with LaunchPad. LaunchPad combines an interactive ebook with high-quality multimedia content and ready-made assessment options, including LearningCurve adaptive quizzing. See ‘Instructor Resources’ and ‘Student Resources’ for further information.